This favorite sponge cake is rich and eggy, with combination of French génoise and angel food cake. The key to the light as air texture is whipping the egg whites, separately from the egg yolks. This homemade cake is perfectly decadent when served with a dollop of fresh whipped cream and a scoop of your favorite jam. Be sure to use the highest quality vanilla extract for optimal flavor. This beautiful cake is perfect for entertaining. Serve with a warm cup of your favorite tea! You can alternatively make small tea size cupcakes out of this batter and serve it up at your next casual gathering, brunch, or luncheon that you’re hosting! Per Serving: 161 calories; 4g fat; 22.2g carbohydrates; 7g protein; 163mg cholesterol; 129mg sodium. This was my first time having sponge cake and it was very moist and rich. We used a hazlenut butter spread and served it with coffee for our guests. Perfect and delicious. 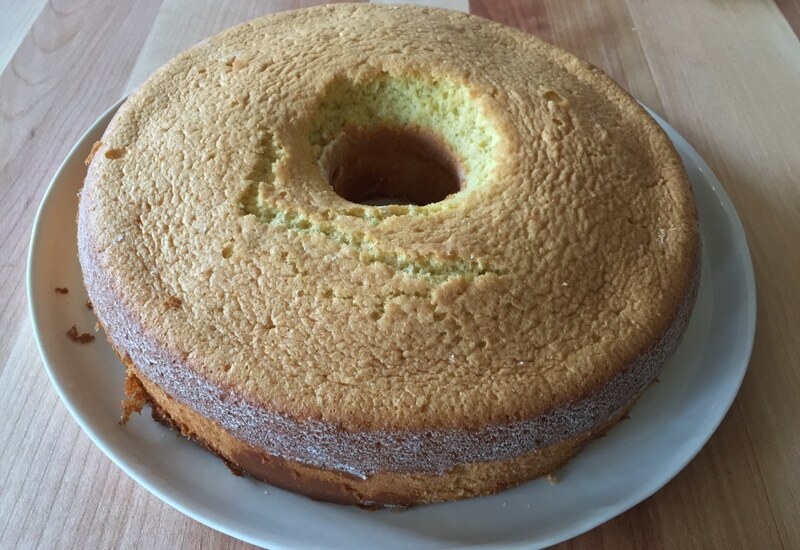 This sponge cake is very light and moist. I enjoyed it topped with whipped cream and fresh fruit. Perfect for the holidays or any other occasion. I am dissapointed. This is the first time I have made sponge cake ever and the recipe never said when to put the vanilla in. My husband was put off by it because it only tasted like eggs and sugar. It would have tasted much better with vanilla. Also, I wish it read to whisk the eggs first. That took 10 minutes by hand.